Spectra: Echelle spectra by Frederick Walter (Stony Brook University) taken on the night of 2015 February 15/16 near maximum light indicate that N Sgr 2015 is a classical Fe II nova. Charts: Charts for Nova Sgr 2015 may be created using the AAVSO Variable Star Plotter (VSP) at http://www.aavso.org/vsp. 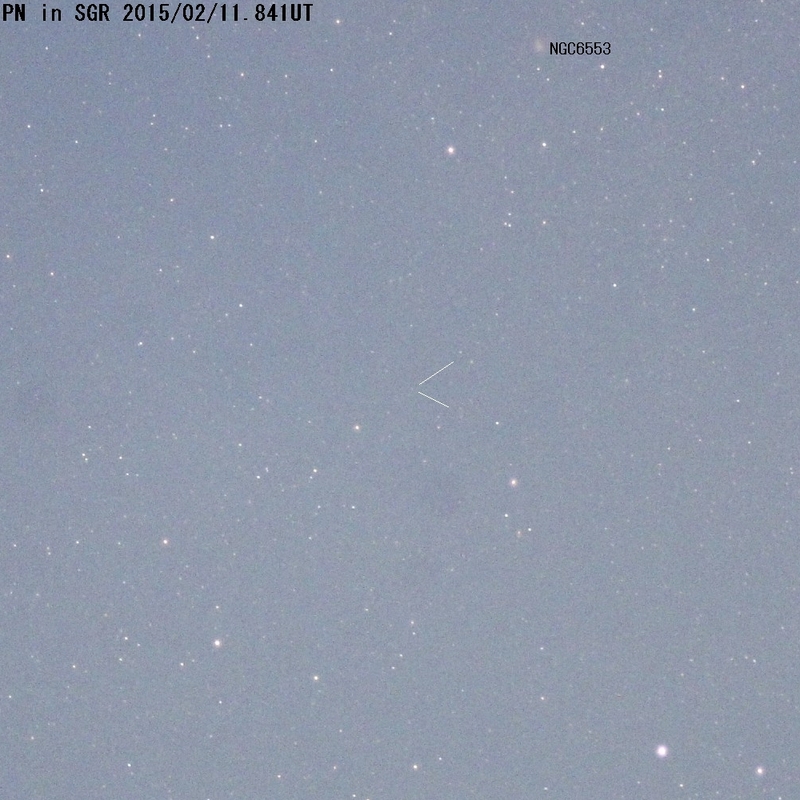 Submit observations: Please submit observations to the AAVSO International Database using the name NOVA SGR 2015. Once a GCVS name has been assigned, please use that name. 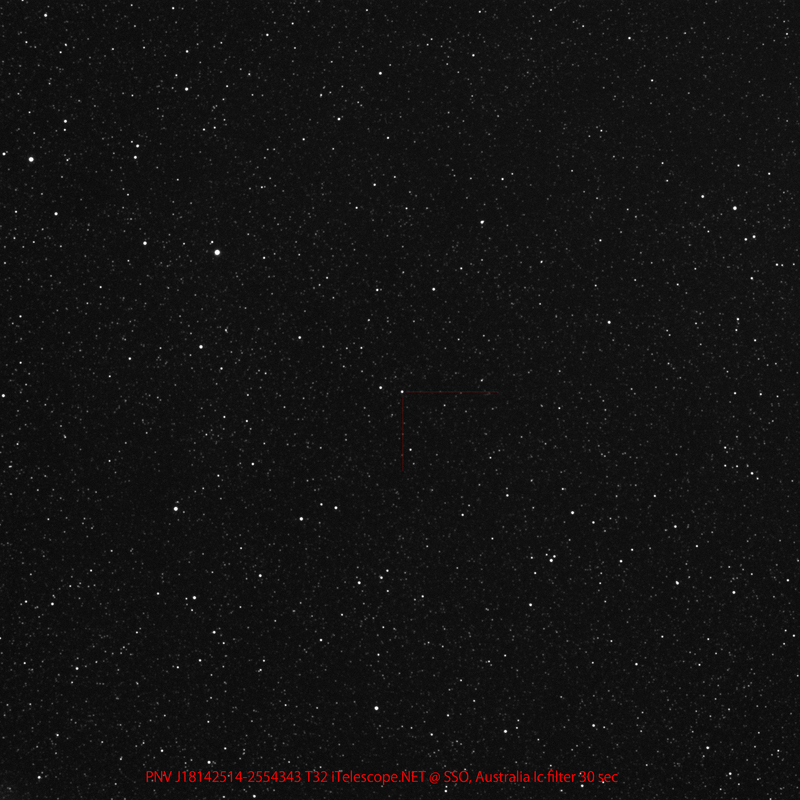 b. Nishiyama and Kabashima confirmed object's presence on five 3-s unfiltered CCD frames taken around 2015 Feb. 12.891 UT. 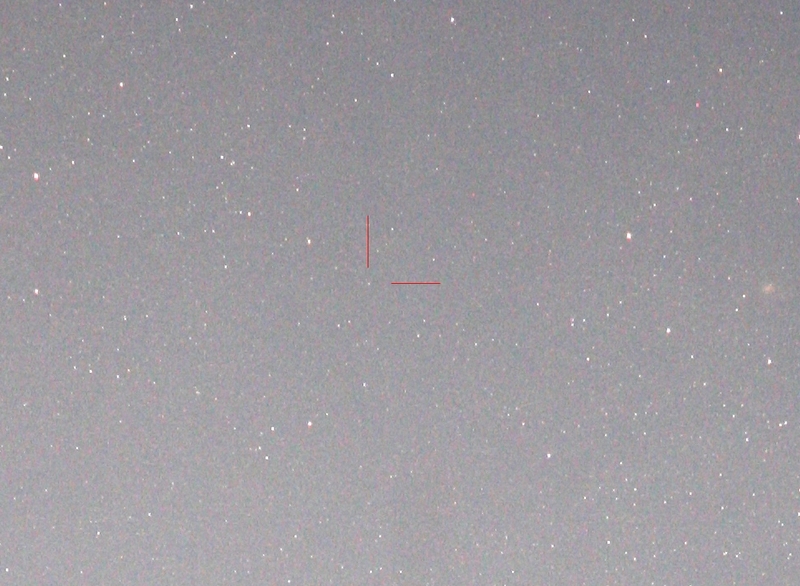 Nothing was visible down to magnitude 12.5 on a survey frame taken 2015 Feb. 02.887 UT. - S. Kiyota (Kamagaya, Japan) 25.15s, 34.66"
- T. Yusa (Osaki, Japan) 25.15s, 34.6"
d. Nishiyama and Kabashima report that the nearest star in USNO B1.0 has position end figures 24.979s, 35.69", distance 2.6", magnitudes B2=15.40, R2=14.39, I=14.66. Congratulations to Koichi Nishiyama and Fujio Kabashima and to Hideo Nishimura on their independent discoveries!